Prior to this, DentureTech was using Word-based documents to manage processes and procedures yet the content held within these processes was often inconsistent and applied differently across the company's three branches in Albany, Orewa and Hobsonville. The move follows a review by DentureTech of how processes were handled, updated and managed across the business, including everything from staff onboarding to how a new customer enquiry is handled, irrespective of location. Promapp said DentureTech’s procedures and materials are constantly updated to take advantage of the benefits of technological advances. 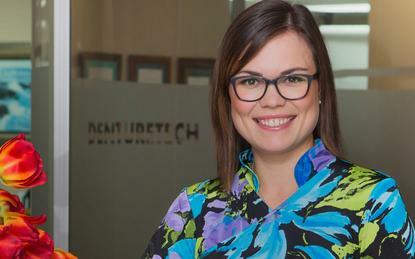 “Following a review we decided that the business and our customers would best be served by having a cloud-based platform," said Monique Teterin, marketing coordinator at DentureTech. "This would feature a central repository for process content, incorporating a single consistent source of the truth for all policies and procedures while also meeting our industry compliance requirements. "We selected Promapp based on its ease of use which would enable staff to take ownership of processes." Specifically, DentureTech is deploying Promapp’s risk and compliance module which will integrate process and risk management, while supporting the company to catalogue everyday processes. This is required to ensure processes stay current and in line with required health and safety legislation, including adherence with the Dental Council regulatory authority, the new Health and Safety at Work Act and the dental industry’s own code of conduct. Teterin said a key benefit is that the software integrates risk and compliance requirements directly into processes, making risk management an everyday activity. Delving deeper, it also provides users with live feeds which update risk and compliance records automatically, helping to support auditing and executive reporting. All controls can be linked to the company’s processes, further ensuring a seamless audit process. "We want to give our staff the responsibility to easily create, edit and review processes," Teterin added. "Promapp will provide this functionality and enable us to link process risks to our specific controls."